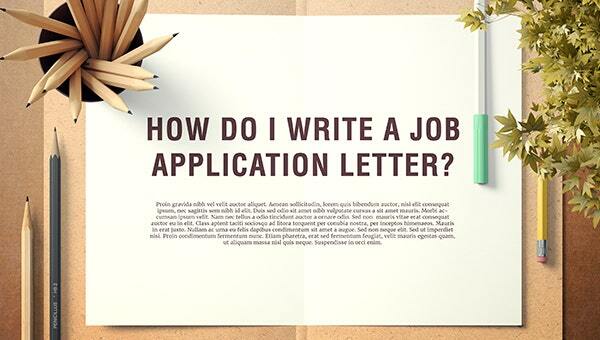 How do You write a Job Application Letter ? A Job Application Letter is an important document that is used to express interest in a job position. It determines whether or not you will make it to the interview round. The document should be taken seriously and one should try and come with a strong Job Application Letter Example that perfectly exemplifies their true potential. Candidates should focus on the quality and should try and create a relevant, intelligent and insightful job application letter. Always mention the subject of your Job Application Letter. In the subject, you should include your name and the job profile you are applying for. If you do not include a subject, the hiring professionals might not consider your application. You can also take assistance from these Job Application Letter Samples and customize it as per your preference. Start by greeting the employer and refer to them with their last name. It looks more professional and formal from your front. The Body of the Job Application should be divided into different sections. The first section should introduce the applicant and mention the position for which he/she is applying. It can also mention how the applicant came across the job opening. The next section should mention in detail about your work experience and educational history. It should go on and explain how you are suitable for the position and should also exemplify your skills and strength that you mention in the Application Letter (Tips). Lastly, provide your reference list and thank the employers for their consideration. It is important to provide your contact information with your signature at the end. It makes easy for the hiring team to get in touch with you if they decide to take you further to the interview round. With these Job Application Templates, you get a ready-made format and you are only required to make few changes and add the name of the company you are applying to and the position you are applying for along with your credentials.